From mid-March to mid-July, 147 members of the Afghan security forces were killed in action in the Helmand region, up from 57 in the same period last year, according to Regional Command Southwest. During that period, 31 coalition troops were killed in action, down from 50 troops a year ago. In other words, Afghan soldiers and police are being killed at five times the rate of U.S. troops in Helmand this year. Those statistics reflect the shifting nature of the war. Afghan National Security Forces increasingly have taken the lead in the war against the Taliban and other insurgents fighters. However, they’re also fighting without many of the same luxuries U.S. troops have, including mine-resistant vehicles and high-speed surveillance equipment. 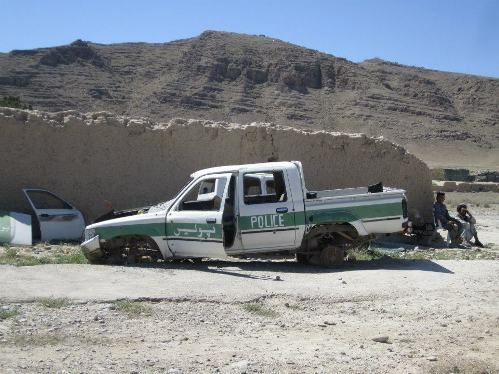 Would you want to drive around Helmand in a Ford Ranger, as the Afghans do? I think not. Today, the Taliban is out of most population centers, forced to the fringes of the province. The number of attacks in northern Helmand, the most volatile area, has declined to 25 to 30 a day from 125 to 130 a year ago, said Marine Col. John Shafer, commander of Regional Combat Team 6 in Helmand. From March to July this year in the Helmand region, insurgents detonated 570 roadside bombs, down from 761 last year. Those numbers are encouraging, especially for notorious districts like Sangin and Kajaki. The number of Afghan casualties does raise a question, however: What will Helmand look like after the Marines are gone?